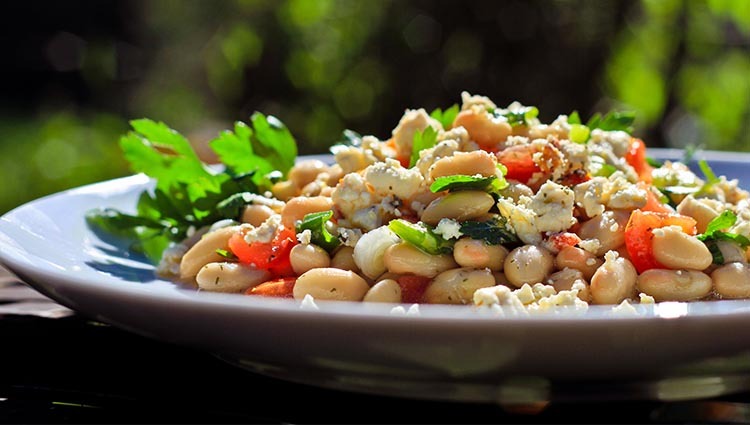 This feta and white bean salad option is both delicious and the perfect portable option for a picnic day. Blend lemon juice and oil; reserve. Combine remaining ingredients. Fold in reserved dressing. Chill to marry flavors. Serve at cool room temperatures.